YOUR LOCAL AIR CONDITIONING AND VENTILATION SPECIALIST, BASED IN BEDFORDSHIRE. year round. Contact us to see how we can help you. 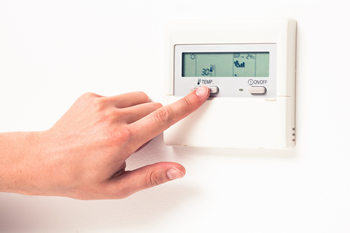 You want a climate control system that you can rely on to work all year round, particularly in extremes of weather. Our air conditioning maintenance contracts keep your system working effectively, reducing the risk of breakdowns and maximizing the lifespan of your system. 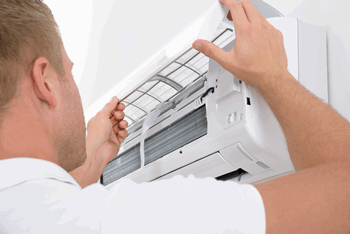 In fact regular maintenance has been proven to treble the lifespan of the equipment. These days, in every sector and at every level of business, clients expect a comfortable working environment. A professionally installed air conditioning system should be climate-responsive; both heating and cooling as well as dehumidifying and cleaning the air, creating a professional atmosphere that keeps clients comfortable and enables everyone to work effectively. To Mark and Paul. Thank you both for arranging, ordering, tweaking and fixing my air-conditioning compressor. It works perfectly and I’m very happy to have the whole system working again. Your engineers have just departed, and I wanted to thank your company for the excellent and swift service, and in particular the quality of the two fitters. They remained polite, good – natured and willing despite having to spend a entire day working through sporadic thunderstorms. 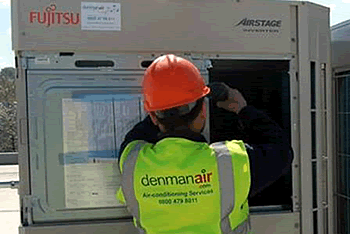 I am just over the moon with the air-conditioning supplied by Denmanair and the way in which the units have been installed. With best wishes and many, many thanks for all your efforts. We have dedicated commercial and domestic teams that comprise the UK’s most highly qualified engineers plus committed support staff, providing excellent customer service. For more than 20 years we have been providing the highest quality, most energy efficient and dependable air conditioning units to businesses across the Three Counties and North London. Recent technological developments have made air conditioning units a cheaper and more economically viable option than ever before, whilst at the same time reducing emissions harmful to the ozone. safety and environmental regulation. New equipment installation is also covered by warranty – for your peace of mind. For more information about our products and services please call 01582 883355 or email [email protected].